Matt Yang, deputy head of the MIRDC's Test Technology Development Section, has been helping Taiwanese hand tool suppliers to upgrade for years. Over the past decade, Taiwan's hand tool industry has built up solid reputations among international buyers for supplying high-quality, high-precision tools catering to professional end-users, and as a result has enjoyed steady growth. The hand tool industry took off in Taiwan in the 1970s, and in the past decade has experienced a second "golden age." According to a report authorized by Metal Industries Research & Development Centre (MIRDC), a Taiwanese government-funded research institute, the industry's production value has been on a trend of constant increase, growing from NT$48.17 billion in 2001 to NT$64.45 billion in 2012. Exports also surged during that period, rising from NT$40.24 billion to NT$59.01 billion. Although the global economic doldrums weakened demand from both consumers and companies to some extent in 2013, Taiwan-made hand tools remained hot sellers worldwide. The MIRDC's latest statistics show that the sector finished the third quarter of the year with a production value of NT$18.4 billion, up 9.6% year-on-year, and exports of NT$16.07 billion, up 12% quarter-on-quarter. For the whole year, the sector is expected to maintain its output value and exports at NT$60 billion and NT$55 billion, respectively. However, the sector's prosperity is increasingly threatened by the rise of underselling rivals from China which have aggressively developed their sales worldwide, particularly for low-end, DIY-caliber hand tools. With the support of the Chinese government, some of them have consistently upgraded their technology and actively developed their own brands with the aim of breaking away from the notorious stereotype of copycats and mediocre suppliers. This has further consolidated China's leading status in the global market. 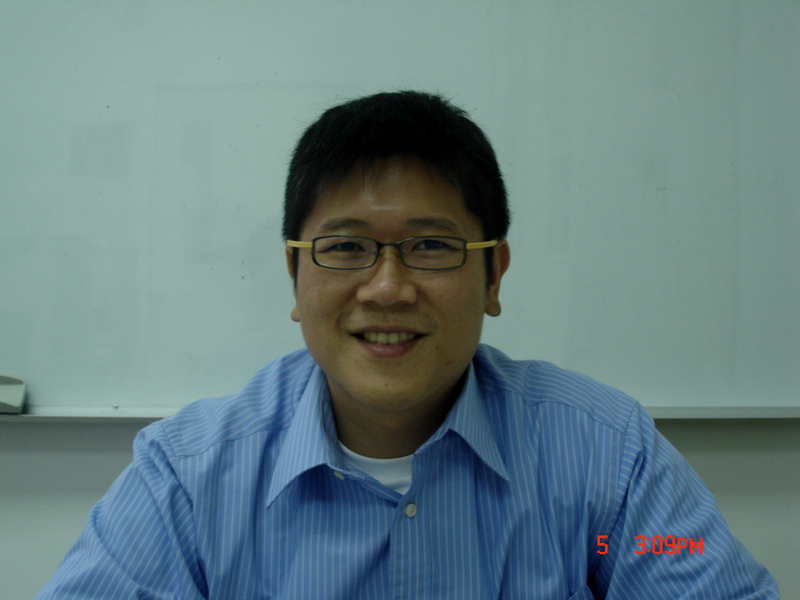 During their next stage growth, Taiwanese makers will face an ever-changing global market and persistent threats from emerging competitors, and in response ought to expand their distribution channels so as to reach new customer segments, suggested Matt Yang, deputy chief of the Test Technology Development Section of the MIRDC's Industry Upgrading Service Department, in an exclusive interview with CENS. In a talk given at a forum in 2011, Yang expressed the belief that Taiwanese makers should try to reach new customer segments. “One effective way for Taiwanese makers to differentiate themselves from emerging rivals and fend off price-slashing competition,” Yang said, “is to explore potentially lucrative segments in accordance with global trends.” One thing such segments have in common, he indicated, is that they involve end-users who are generally in need of higher-end, professional-caliber tools with special functions. For instance, Yang pointed out that the market for highly insulated, explosion-proof tools for the construction and maintenance of power stations is rich in growth potential, given that energy is an increasingly important issue all over the world. 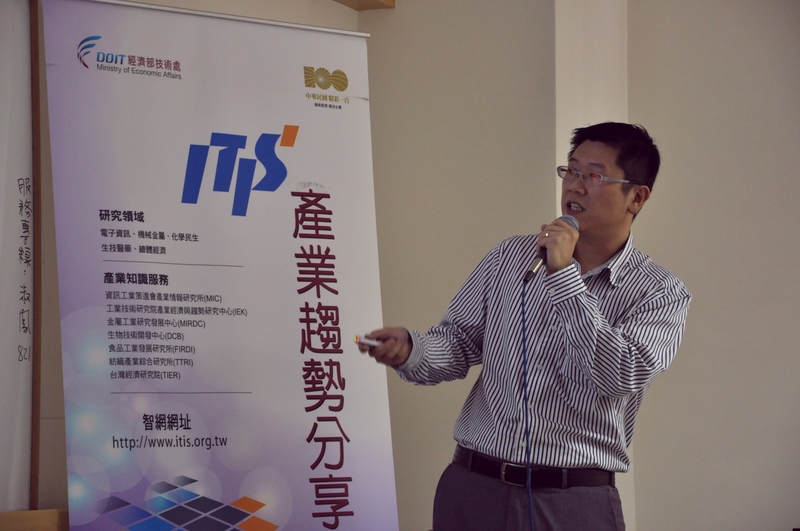 “In the past," he explained, "few Taiwanese companies accessed this segment, primarily because tools for this application are subject to strict standards, mostly established in Europe.” To help Taiwanese companies get their products certificated so that they can penetrate the market, he reported, the MIRDC is creating a database of related certification documentation. Yang believes that hand tools for repairing and maintaining electric vehicles will be a sustainable growth driver for Taiwan's hand tool industry, as electric vehicles are expected to become increasingly popular worldwide. “In addition to Europe, Japan is also actively promoting electric cars and plans to use such vehicles exclusively to transport athletes during Olympics 2020,” he said. 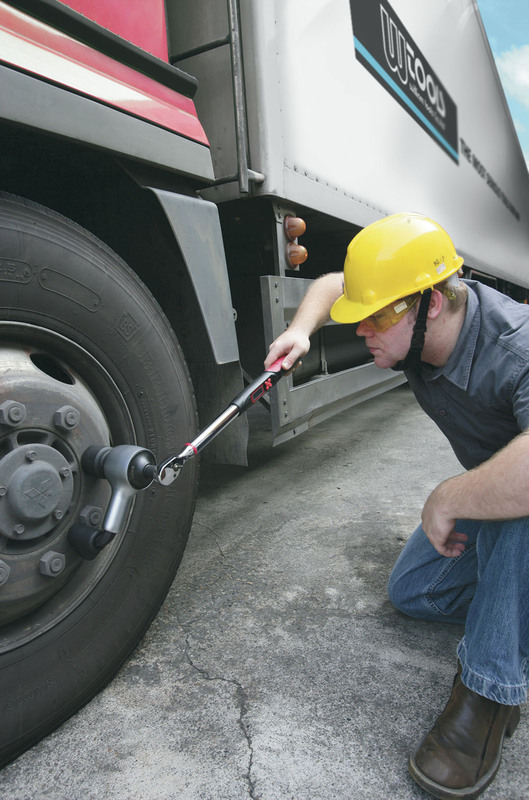 Auto repair tools are a mainstay category in Taiwan's hand tool industry. Yang mentioned that several standards have been developed, such as EN/IEC 60900, ASTM F1505, and NFPA-70E, specifically for repair tools for electric vehicles. This is market that Taiwanese hand tool manufacturers can tap via cooperation with local R&D institutions and colleges in the development of composite materials. Success in this could secure growth momentum for the next decade, he feels. For the past several years the MIRDC has also helped Taiwanese manufacturers work on surgical tools, which Yang believes will serve as a growth propeller for the industry's overall output value. 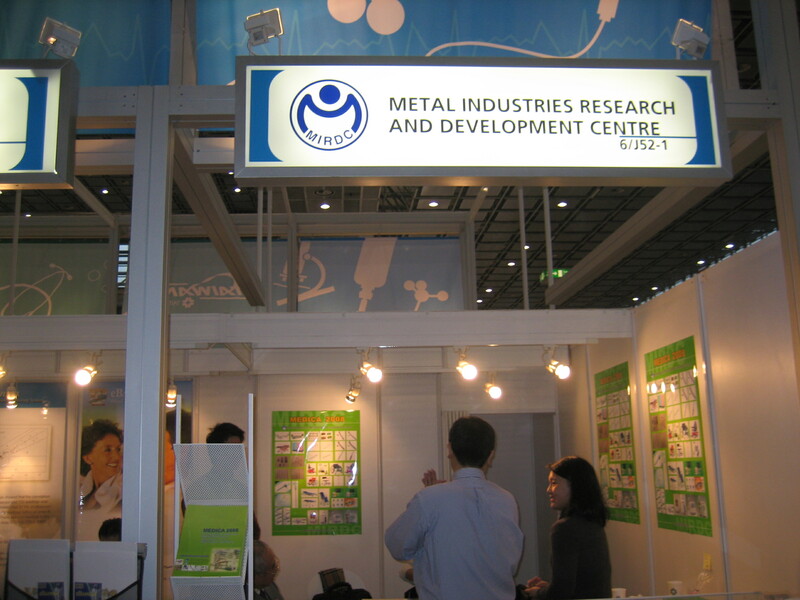 The MIRDC promoted Taiwan-made surgical tools at a booth at MEDICA 2008 in Düsseldorf, Germany. The MIRDC began working with Taiwanese hand tool makers in the development of surgical tools in 2009, when the Veterinary Surgical Instrument R&D Alliance was formed. Following years of hard work, the alliance members have come up with a number of quality-approved surgical tools, including bone hammers, self centering bone holding forceps, three-prone patella bone holding forceps, lane bone holding forceps, and reduction forceps with serrated jaw and ratchet locks. Yang mentioned that as surgical tools have an 80% similarity with traditional tools in terms of function and exterior shape, and are subject to American FDA (Food and Drug Administration) regulations, the MIRDC invited a veterinary clinic and a university to join the alliance so that it could take advantage of their professional knowledge and clinical feedback in the effort to help manufacturers develop and improve their products until they meet FDA requirements. Surgical tools are an ideal product category that the industry can rely on for sustainable development, Yang stated, because the market for such products is growing steadily and is accessible only to players with strong technological competitiveness. Furthermore, the abundant resources available from local hospitals, universities, and R&D bodies make it possible for Taiwanese makers to apply key technologies, including human factor engineering based on CAD (computer aided design) and CAE (computer aided engineering), as well as antibacterial coatings, in R&D and production. To further expand the overseas outlets of alliance members, Yang said, he has represented the alliance and the MIRDC in talks with surgical tool manufacturers in Gottingen, Germany, where over 90% of the local manufacturers are engaged in surgical instruments, about the possibility of building long-term cooperation between Taiwan and Germany on the joint promotion of Taiwan-made surgical tools. At the same time, Yang commented, the global market for hand tools will be sustained by brisk economic growth in Asia. Yang admitted that Taiwanese manufacturers currently have difficulty maneuvering in the Asian market for a couple of reasons, including the island's exclusion from the ASEAN (Association of Southeast Asian Nations) free-trade partnership and the comparatively high prices of Taiwan-made tools. Under these conditions, he suggested, “Taiwanese manufacturers can try to boost their market penetration by switching their focus from manufacturing to distribution.” To that end, he stressed, they need to add value to their products by cooperating with local partners and boosting the MIT (made in Taiwan) image.